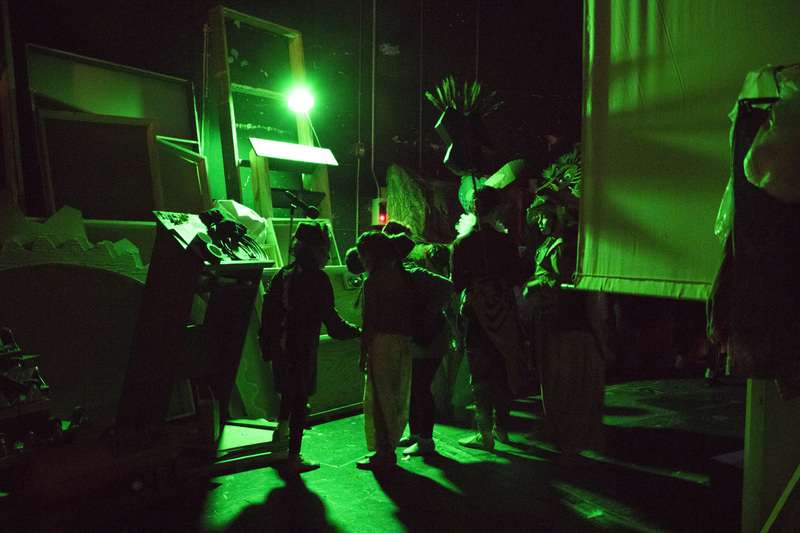 Backstage at the youth production of The Lion King. San Antonio theaters revived breathe new life into the arts community. Varied in design, history and audience, theaters have long been a part of San Antonio’s cultural history. These staples in our community tell stories through their architectural design, their programs and the audiences. Each theater birthed in very different circumstances and with different social ideals for their time; segregation was once a part of the theater community in San Antonio–a very sad part. 90 years ago you could see stark seperation in communities. Things have changed however. Our community celebrating the tricentennial and Dreamweek 2018 was a sign that our community is becoming more inclusive. 3-D movies have replaced dramas and operas in the mainstream and the word “theater” is understood as the place where you overpay to see a film. People of all backgrounds can use the theater as a place to share culture. 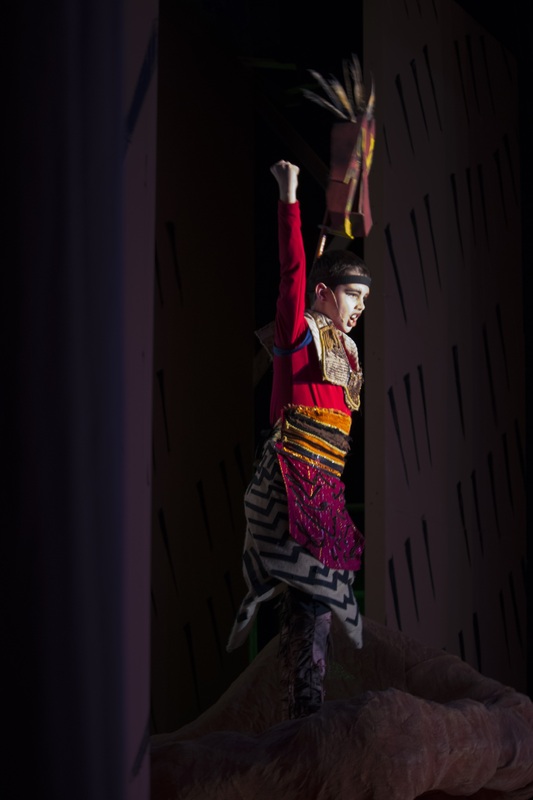 As the city continues to grow and new audiences meet old cultures, one can see the theater adapt to the change. These theaters of yesterday offer a different experience than the smaller 200 cap rooms you’ll find most local bands or productions playing on a Friday evening. 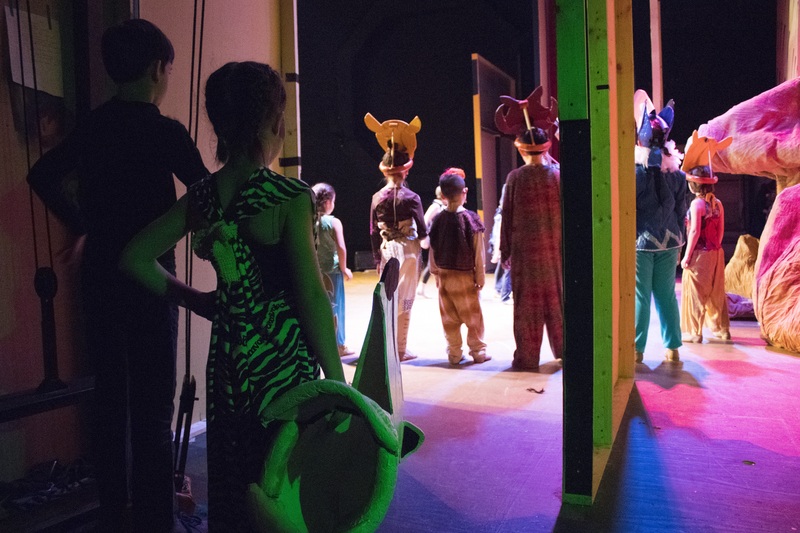 Backstage at the youth production of The Lion King. Chase Otero/The Paisano. Theaters are a unique part of our performance arts community. These places serve as a launching pad and incubator for creative minds to work together and grow. They create dialogues about issues affecting society through their programming. They impact youth community engagement and bring out those traits in future showbiz superstars. They signify a healthy economy with diverse communities that can afford pricier entertainment. Some theaters in our community have really stepped up recently to show their adaptation to this shifting city. In the Deco District you’ll find indicators of a theater and its staff adapting to a growing city. The Woodlawn Theatre, built in 1946, once hosted the premiere of “The Alamo” starring John Wayne and has seen many changes of ownership. In 2012, it was remade as a non-profit organization whose original purpose was to offer musical productions. 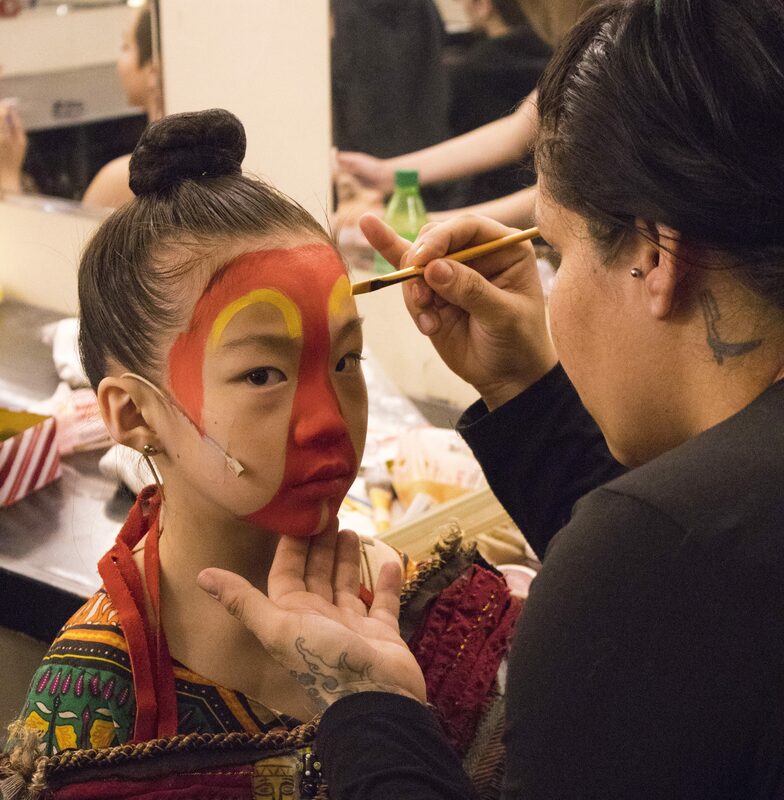 As the city has grown in the past six years, the theater has come quite a ways including various kids-programs, work opportunities for acting/dancing/singing teachers and art shows to aid growth. “One of the big things here is if a kid comes and wants to take classes, we’ll find a way to make it work for them. 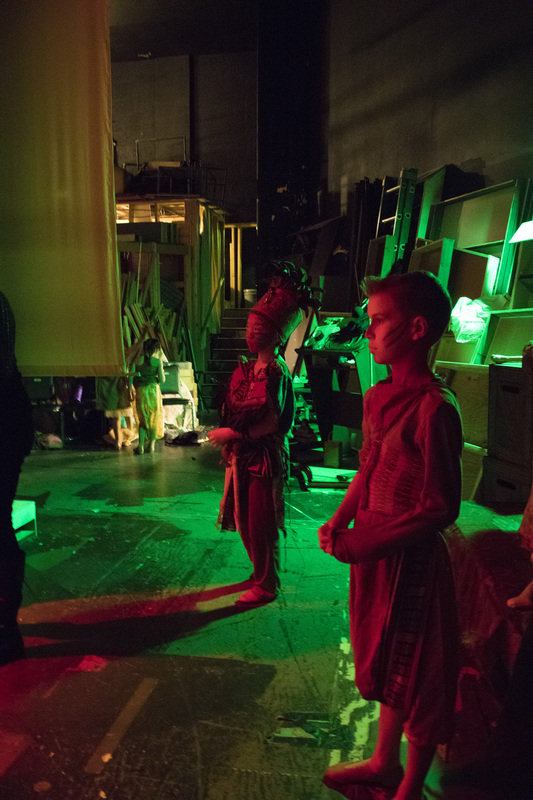 Every kid needs some sort of outlet, and if they have a passion for theater, we wanna make sure we nurture that,” says Christopher Rodriguez, executive/artistic director for the Woodlawn. Through a small tuition, scholarships and volunteers, the kids’ program molds to the child working on their talent and the Woodlawn caters to specific areas. “What’s great with the kids program is, originally, we had kids just doing the shows–which is great, but we were also getting requests for ‘my kids just wants to take an acting lesson’ or ‘just a dancing lesson.’” Through their Leg Up program, Tuesdays through Saturdays, actors from the community teach private acting or dancing lessons and Woodlawn staff share their passion with future thespians. Woodlawn staff also visit local schools for their Performance Outreach Program or P.O.P. to train actors after school to put on a production at the end of their semester. All Woodlawn actors and musicians, volunteers who are part of the staff, work anywhere from seven to ten at night for five to six weeks of rehearsing to produce six mainstage musicals. This year the Woodlawn adds the element of art to their programming by converting their front lounge to an art space for post-show socials. Every production will also host pride nights where tickets are sold for $24 with the code PRIDE that includes pre-show socials with complimentary food from Luther’s Cafe. They will also host college nights with complimentary food shows for $10 with a student ID. The Woodlawn can see the community changing, and with patrons of all socioeconomic backgrounds, they’re adapting to change in the city. A few miles away in the heart of downtown you’ll find the Aztec theater. The theater has seen many faces, been saved from demolition in the past and is recognized as the only surviving example of a Meso-American Revival style theatre. It has seen the days of vaudeville, was used as a large-format movie theater and was reopened in 2015 as part of Live Nation, a publicly traded live entertainment company that gave a new breath of life to the old theater through music and other live entertainment. Theaters and venues with capacities like the Aztec Theatre, Majestic Theatre or Tobin Center seat anywhere from 1,500 to around 2,500, making them the happy medium because they allow for more ticket sales. However, the Aztec is also the only theater in the San Antonio market whose layout allows for a full general admission standing room. This capacity and layout is important because it makes entertainment from more mainstream acts accessible. Artists and managers recognize this as a place where they can still get their guarantees without selling out too quickly, but not have to worry about filling a room like the AT&T Center and have the audience standing room experience they want their artists to have. “On one hand we saw our role as helping the market grow as a whole. Before the Aztec was returned to a musical venue you really had to think where is a show like Built To Spill and the Afghan Whigs or Social Distortion–where are these artists gonna play once they’ve reached a place in their music career where they can sell out Paper Tiger and sell 750 tickets easy?” asked Libby Day, Marketing Manager for Live Nation at the Aztec. “Being owned and operated by Live Nation has also given us the chance to bring artists to San Antonio who have never played here before and has helped with the radius clause issue that we used to see with Austin. 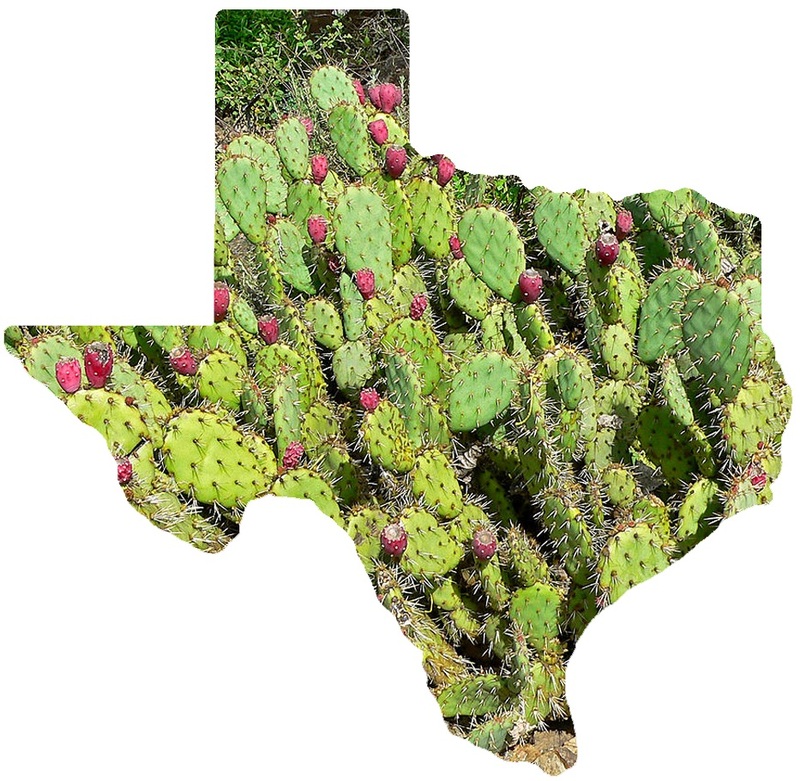 You know you’d see a band stop in Dallas, Houston and Austin, but they wouldn’t come to San Antonio because we’re 60 miles from Austin and that’s within the 100 mile radius clause, but because Live Nation has a heavy hand in tour routing, this allows us to bring artists who otherwise would not due to some contractual issues.” The market for entertainment in San Antonio is growing at an immensely fast rate. This means that in order to keep the building alive for this caliber of entertainment, the Aztec has had to change to adapt. Samuel Panchevre, local developer and owner of the Aztec plans to add four floors of office space into a 55-room hotel with a restaurant and terrace. Originally plans had been drafted in 2015 for more affordable housing in the same space, but due to the onerous property taxes, as Panchevre described it will be turned to a boutique hotel to offset the cost. Panchevre recently stated on a MySA article that, “it’s really, really hard for us to make the numbers work when we have to pay taxes on the building like that.” Running a theater is expensive. Similarly, a common complaint is that the Aztec caters to a certain income bracket, but it’s not cheap to bring acts such as Marilyn Manson or Miguel to San Antonio. The majority of ticket sales go to the artists and Ticketmaster fees go to Ticketmaster. Those ancillary revenues like $10 cocktails, VIP upsales or venue merchandise are really the revenues that keep the venue afloat–and nobody wants the liability that is a crowd of people drunk off of $3 tallboys. As the city changes we can see some venues stepping up as places for dialogue. The Guadalupe Theater focuses on a place where Latino culture is preserved through art, dance, music, theater and symposiums. They recently held a lecture over the Santa Muerte: A Folk Saint In Texas film which includes Malgorzata Oleszkiewicz-Peralba, Ph.D. professor of Latin American Literary and Cultural Studies at the Department of Modern Languages and Literatures for UTSA. The small capacity theater which is part of the Guadalupe Cultural Arts Center (GCAC) also serves as an academy of the arts serving the underserved in our community. It is recognized as one of the prominent educational programs for traditional and contemporary Latino art forms in San Antonio. As we see theaters stepping up to face new challenges in the growing city, it’s also important we recognize those theaters who are making a comeback during SA’s influx of development. The Alameda on the west side was recently approved for a $9.2 million preservation and development alongside partners at Texas Public Radio, Bexar County and La Familia Cortez Restaurants. 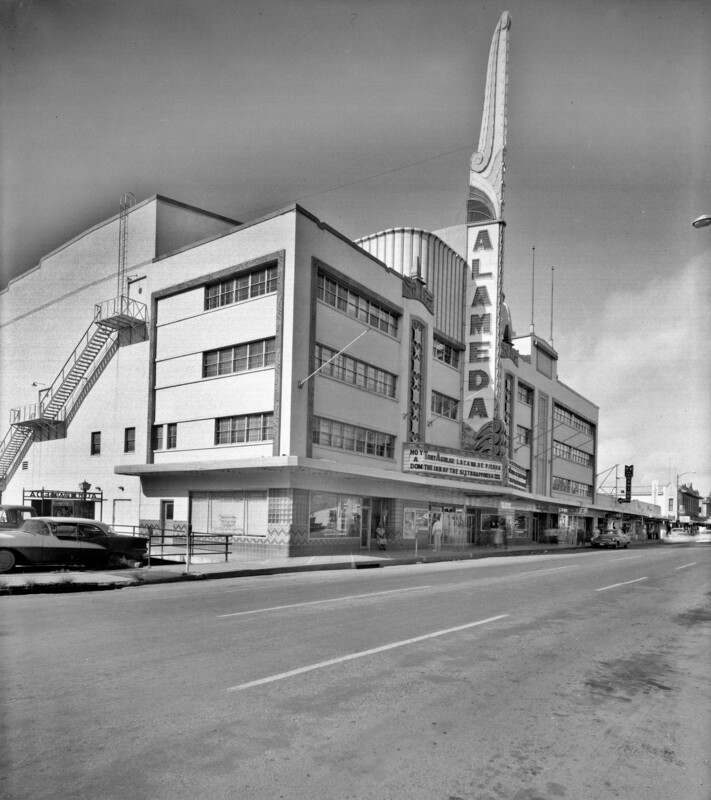 The Alameda was constructed in post-WWII prosperity where people of color on the west side would arrive in their sunday best with shined shoes and new vestidos to watch acts like Vicente Fernandez and Cantinflas. It’s Mexican influenced design also shows the pride of the Chicano community of the 1940s and 50s. Sadly, the Texas hasn’t joined this current conversation of theater development. You’ll find what remains of the Texas downtown: it’s 91 year old facade jutting from the the Republic Bank building. We all play a part in this community of arts and culture. Whether you’re in line at the Majestic or the Empire to see La La Land or The Color Purple, maybe your daughter is pulling the curtain behind the scenes at the Woodlawn for the Lion King, perhaps you’re stage diving at the Aztec to Exodus, or admiring the beauty of the tiled Alameda box office you breathe life to these places by engaging them. And these places breathe life back into our communities. The story is not over. Readers are encouraged to not only attend these productions, but get involved in these spaces. Act. Stage manage. Play music. Write a play. Join the Lyric Theatre here on campus if you are eligible. You are all part of this conversation and have a chance to write your story into the history of this city’s blooming theater community. Break a leg.